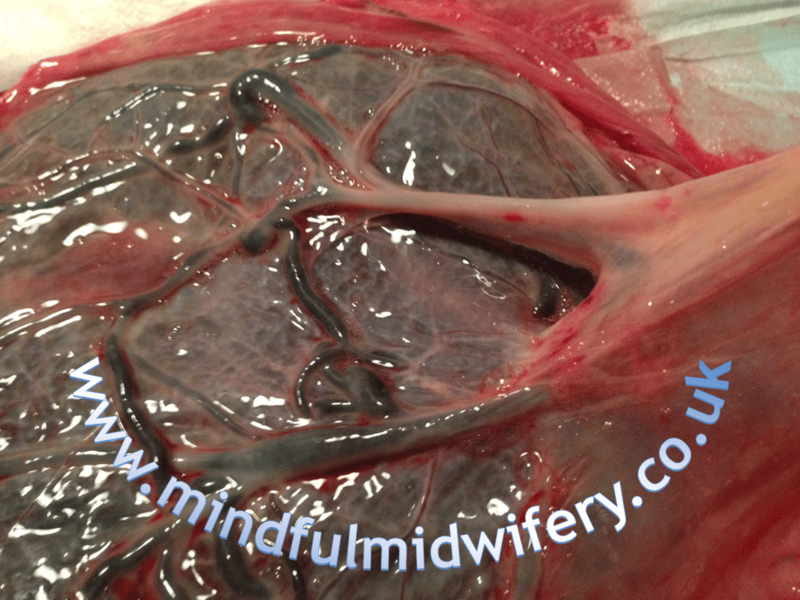 Brought to you by my friend and colleague Tara Windmill-Robson of Mindful Midwifery, I have awesome placenta pictures to share today! 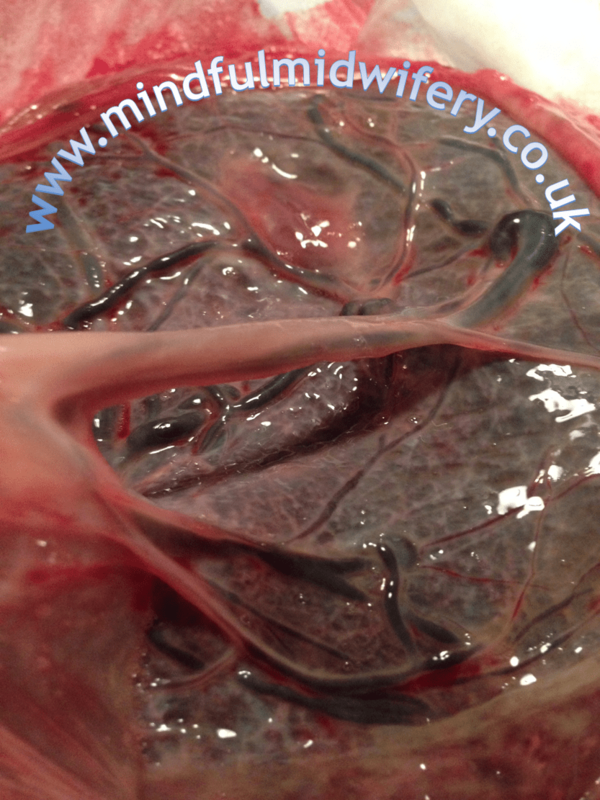 “These amazing placenta pictures were taken after I attended a woman in her home as her independent midwife. This woman’s placenta is one of the wonderful unusual sorts, the kind that gets me questioning but also very excited and passionate! My client had a normal birth at home after having her first baby by Caesarian section. Her labour and birth was peaceful and by candle light. It was a late spring night, it was windy and there were many trees and owls outside that could be heard calling in the baby, who came into the world quite swiftly and followed almost immediately by her placenta! Upon my thorough exploration of the placenta a short time after, I noted that the cord was clearly attached to the chorion. 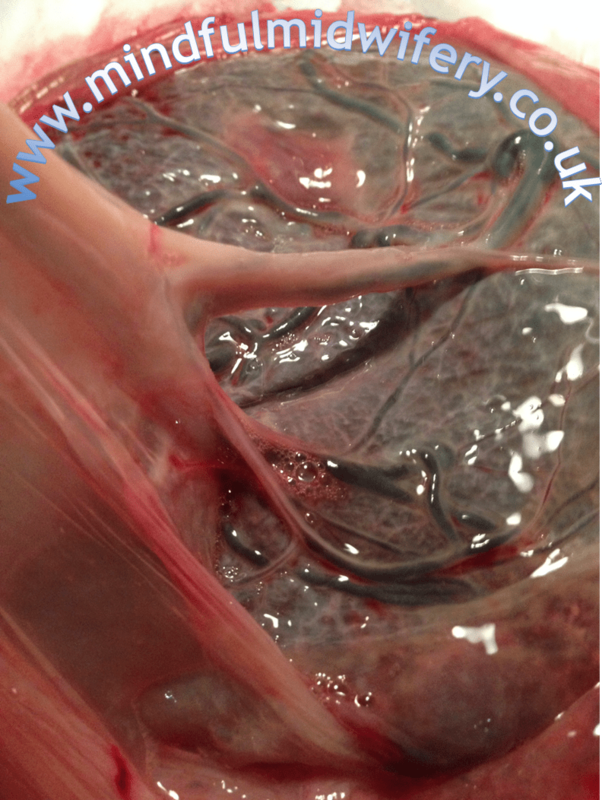 The amnion had slipped back after my client’s waters had spontaneously and naturally broken due to the pressure of the baby’s head, and clearly – as you can see in the photos – the vessels go right through the chorion! I think these pictures really sum up the intricacies and complexities of this miraculous organ, it can have such potential fragility and gauziness that can only really be seen and known after its birth. One of my clents took a photo of a placenta that was very similar to the one I have just viewed. It was an IVF pregnancy. She had SPOM. 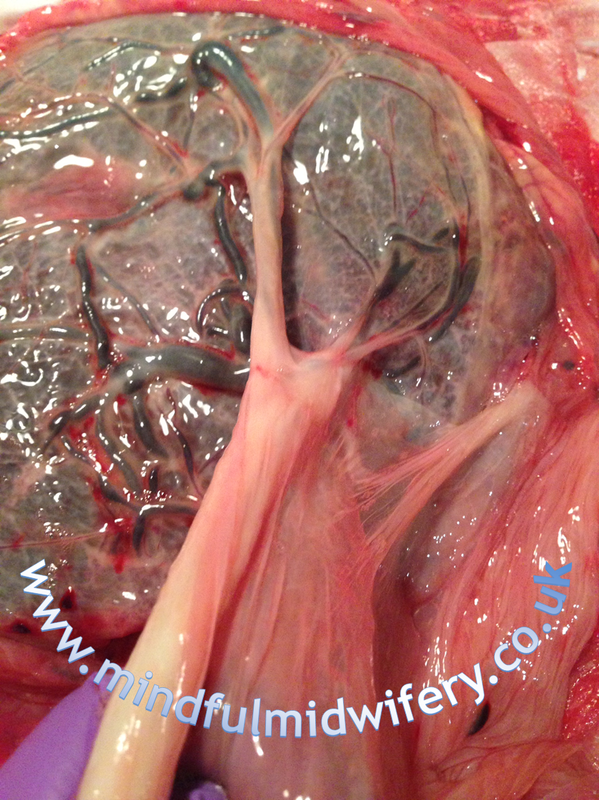 There was a double true knot in the cord & cord in the membranes too. Can I email a copy of this to you. Hi Sara, I have a couple of pics of interesting placentas which I have permission to use for teaching purposes. Placenta’s are amazing. 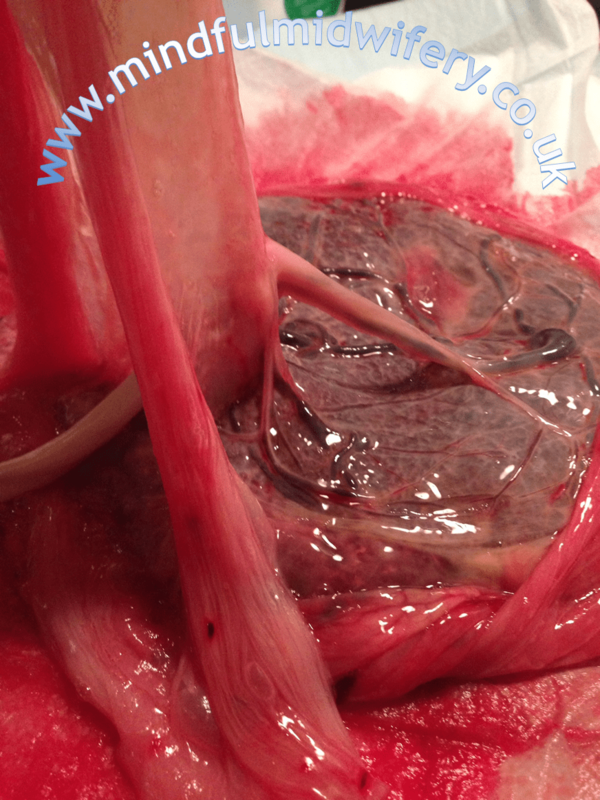 The most interesting placenta I’ve seen this year had several big fat juicy vessels running through the membranes – thankfully no-one had done an ARM! Haha well maybe we should do you a blog post too?! I am generally totally against ARM and would never do one at home as it is an intervention and who know what could ensue. I have actually only done one in the past how many- I -don’t -know-years and that was with a client in hospital. I am just pondering though… If an ARM is done (and if it is known where the placenta is situated) and it is not knowingly near or covering the cervical os, it would likely be the baby that was above the bulging membranes ( or the membranes that are closely applied to the baby’s head) so you wouldn’t be likely to inadvertently rupture a blood vessel as the placenta would ideally be above the baby( as seen in these fantastic pics). Of course pulling on the cord as in CCT) after the birth would be extremely risky. Hmmm.. just musing on it all really..would .love a discussion on this…..
the most interesting I had was with a woman, G3P2. She was pushing on hands and knees, fhb was perfect and with the 3rd push a loop of cord appeared. Hartstopping. Thankfully we were in a hospital, thankfully a consultant was just across the hallway and he had the baby withun minutes with a ventouse. Baby had AS 9/10. Ten min later the placenta came and lo and behold it was a velamentous insertion. And inserted I guess below the bony part of the pelvis, hence the prolapsed cord with unaffected FHB. I think this is called a furcate insertion. Patricia Edmonds has a great Facebook Page where people share photos of interesting placentas for discussion. I love placentas, one of my favourite things to do after the birth is examine them, although we don’t devote enough time to it in my opinion. I had one like this few months ago. I took pictures of it as before that I only used to hear about them. How interesting!